Meet your new favourite! White Stuff's Aiken dress is made from jersey and comes in a flattering fit you're going to love. It has a round neckline, a pocket on either side and is finished with a waist seam. Meet your new favourite! White Stuff's Aiken dress is made from jersey and comes in a flattering fit you're going to love. It has a round neckline, a pocket on either side and is finished with a waist seam. 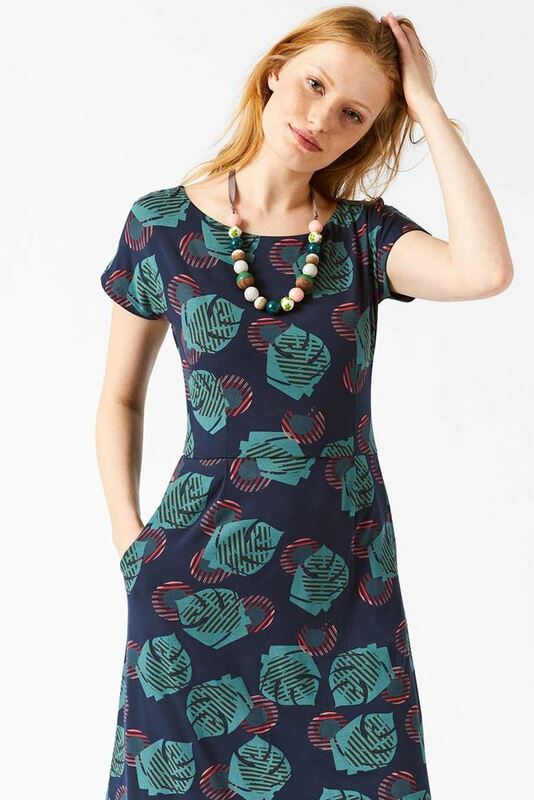 Sitting at the knee, this dress is perfect for both work and weekend.